Dale Spencer | OBXtek Inc.
Dale Spencer is the President and Chief Operating Officer for OBXtek, one of the National Capital Region’s most successful small businesses over the past five years. Mr. Spencer possesses over 30 years of experience in business management and growth in both the services and manufacturing industries. 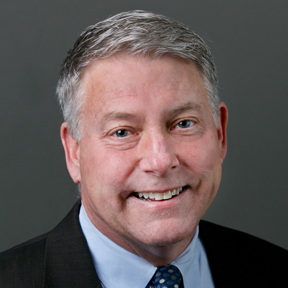 In his current role at OBXtek, he oversees an organization of more than 500 personnel supporting over 200 prime contracts and task orders with federal government agencies including the Departments of State, Labor, Transportation, and Agriculture and DOD customers including the Air Force, Army, Navy, National Guard and Marine Corps. Prior to joining OBXtek, Mr. Spencer held positions as the President of Hydrasearch, Company, a manufacturer of equipment for various DOD weapon systems including surface and sub-surface ships, aircraft and tanks. He also held the position of VP of Business Development at Amyx, Inc., a small business services provider and as the Director, Homeland Security Initiatives & Business Development at DRS Technologies a large systems manufacturer, integrator, and services company. In his spare time Mr. Spencer enjoys skiing, boating, the beach and keeping his wife, Mary, happy.